Dear Readers! Before Christmas of 2008 I don't want to write about a Sith or an other negative character. Please let me write about a positive supporting actor this time, whose life may represent a moral lesson for all of us before the coming Christmas days. Please read the story of a small man, who exemplifies that the heroes are not always at the battlefronts, and the life and the acts of a "small man" can make him large! 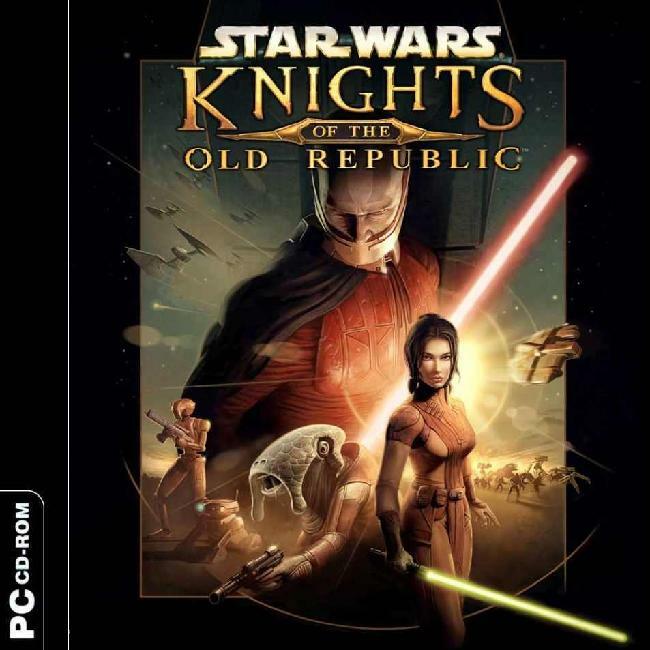 Zelka Forn was a benevolent, peaceful, elderly male Human in the PC game Knights of the Old Republic 1, he was voiced by Daran Norris, the same voice actor that played G0-T0 in Knights of the Old Republic 2The Sith Lords. 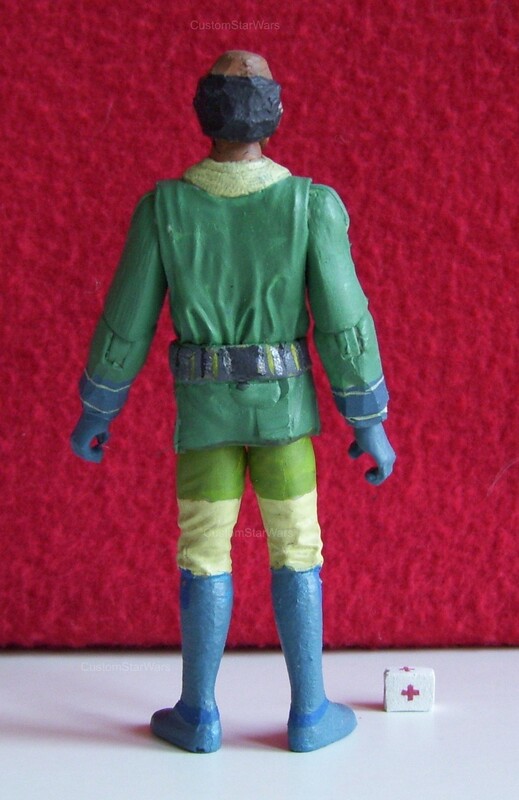 Zelka ran a medical facility in Upper City South on Taris. He never refused help to none, regardless of their home world, species, government affiliation, he just cared about the human beings and other creatures, and wanted to heal them. Even if he personally disliked somebody, he didn't refused first aid, or other kind of medical assistance. That is why Zelka Forn used to founded his medical facility he wanted to heal those that were sick or wounded. And there were always wounded people at Taris. For example there were two rival gangs down at the Lower Taris regions, where the gang wars happened every other day between the Hidden Bek and the Black Vulkars. So Zelka could practice the knowledge what he used to study about the gun shot wounds, stabs, hacks, and contusions. But not only the wild Taris Lower City provided a constant injured crowd, Upper Taris was almost the same. In the Cantina there were often fights between drunken patrons, and the arena fights also gave him many injured patients. Also, Taris was notoriously xenophobe, and the humanoids often attacked the alien creatures, which is true even for the human children! Revan witnessed a scene when some young tarisian children attacked an Ithorian hammerhead in the street, daytime! So all of these injured off-worlders, aliens, humanoids, gang members, and other sick people appeared Zelka's clinic once in their lives. And since Zelka had an extreme concern for others, he helped everybody, often without any kind of consideration, free of charge. 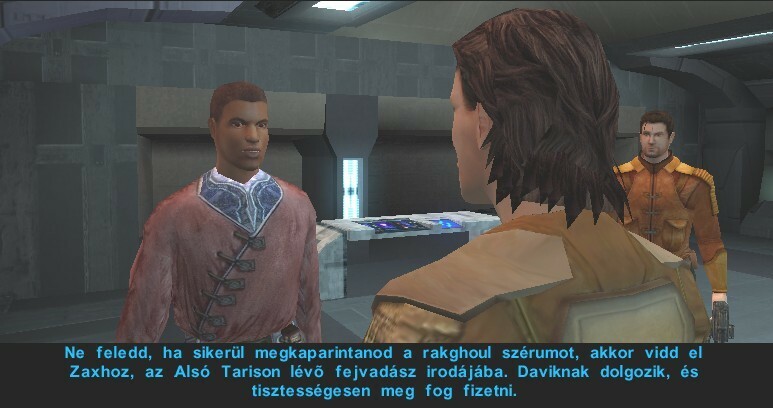 Revan himself also received free medical treatments after his arena fights, or after he was injured during any of his fights. He could use Zelka Forn's facility as the last resource, when he arrived back severely injured, Zelka started the treatment right away, free of charge all the time! Also, there was a terrible incurable disease all over Taris, but mostly down below at Lower-Taris. The people, who were bit by a Rakhgoul monster, became weak and ill for a short period, while they could have been healed, if there were any antidote. But if they were not treated shortly they started to transform into a Ragkhoul monster, and they also started to spread the virus by attacking other people. It is like Resident Evil, the scientist transformed into zombies, and attacked other people, who could be also diseased by a single bite. Many Ragkhouls massed down at Lower-Taris, and many nested in the Sewers, so the life down there was very dangerous for the poor and outcasted Lower-Tarisians. Zelka Forn was grieved about this Rakghoul disease because he didn't have an antidote for the people who suffered and diseased by it, particularly the Outcasts. Once he heard about some Republic scientists were getting close to a cure, but rumors said the Sith overran their research center and took the serum all for their patrols in the Undercity. 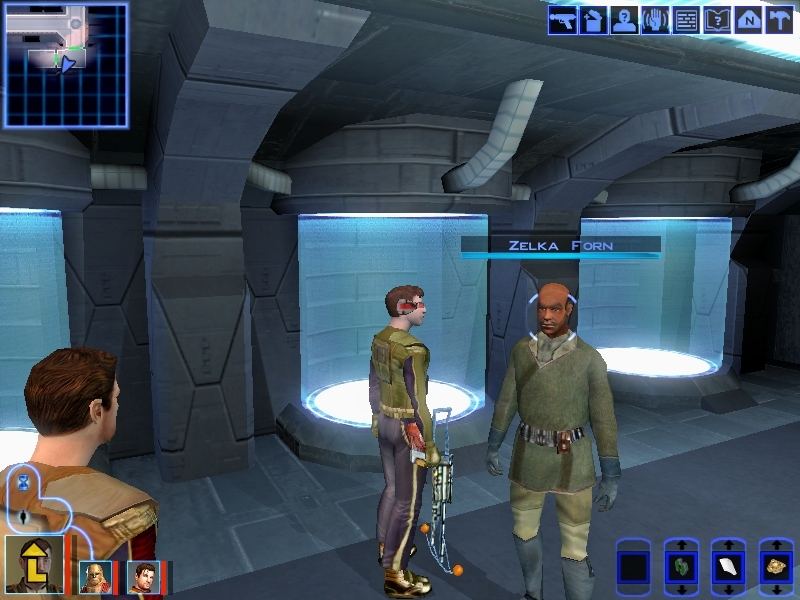 Revan learned about the serum and why Zelka wanted it. Gurney, Zelka's medical assistant also told him about another person who wanted and would give a much higher price than Zelka. 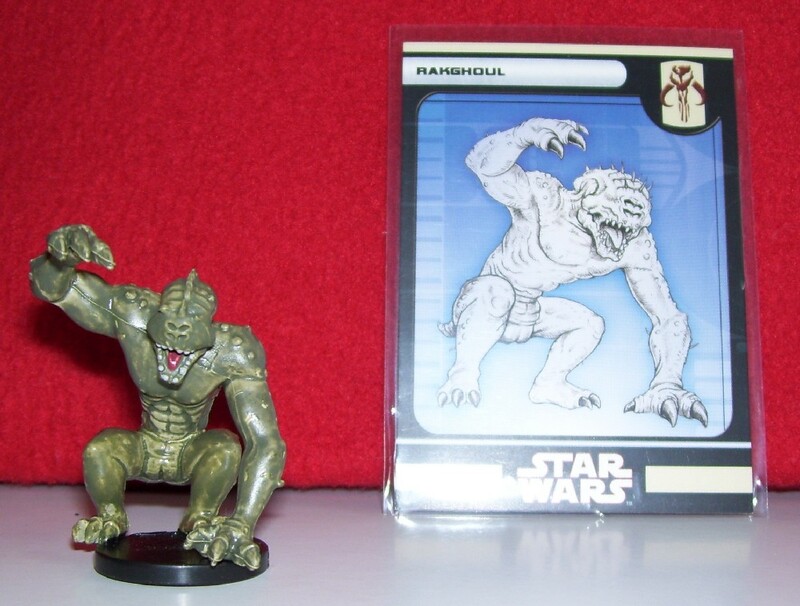 Gurney offers the player to also sell the Rakghoul serum to Zax, a Hutt crime lord, and earn 1000 credits (you can even persuade Zax into paying 1500 credits if your Revan has a high enough persuade skill, but the you will gain Dark Side points if you do that.) Of course Zax was an underling of a more powerful crime lord, he was Davik Kang. Zelka Forn also knew that Davik want the cure for the Rakghoul disease, too. He knew what would happen if Davik got his hands on the sample of serum instead of Zelka, Davik wanted to copy the anti-serum for many samples, and would sell it for a very-very high price. While Zelka would copy it, and would give it very cheap for every diseased being, he just wanted simply to heal them from the terrible disease. 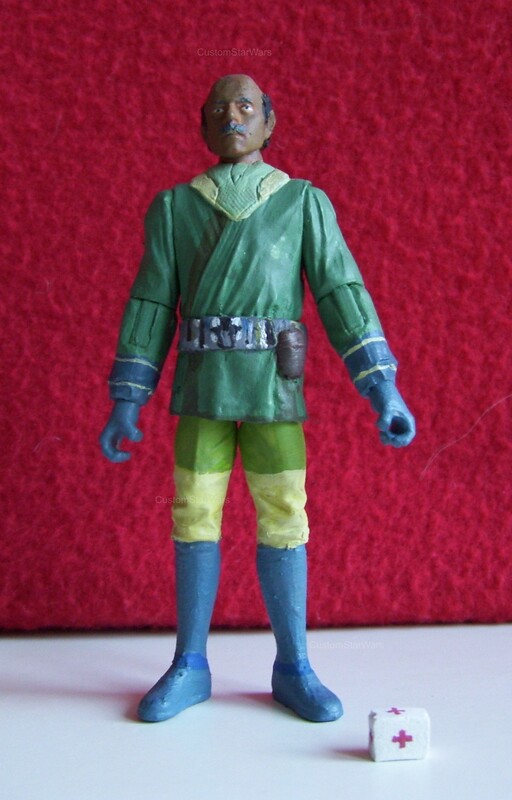 But Zelka feared the Sith because he believed if the Sith might one day learn he has the antidote, they will close his clinic, so he prefers not to have any trouble with the Sith. Later, Revan found a Sith trooper corpse in the Undercity containing the Rakghoul serum which Revan decided to give to Zelka, who offered him 50 credits and two medpacs, but Revan refused the reward believing Zelka needed them more then Revan did. (You will receive Light Side points for that.) Zelka managed to make enough copies of the serum to give it to those who needed it very cheaply and he also gave Revan a discount saying it was the least he could do. 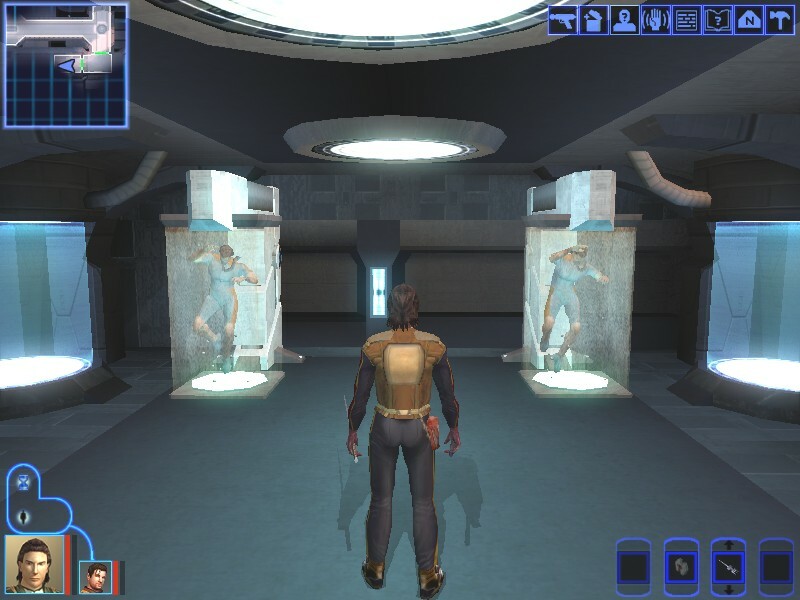 When Revan gave him the serum and declined his offer, he considered his spirit very noble, but still believed that Revan deserved something for his efforts. The player could still buy a copy of the serum from Zelka but he couldn't copy it so he had to buy from Zax expensively. If it would be the end of the story we could even call it a happy end. But unfortunately the history wanted it an other way. 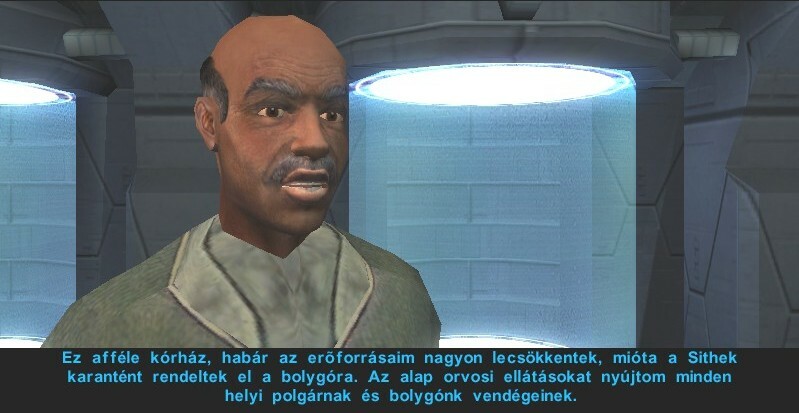 When Darth Malak ordered Taris planetary bombarded, Zelka Forn's small health center soon got crowded with wailing, sobbing, blooding injured people. 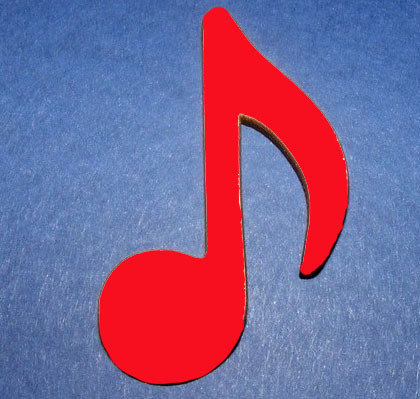 The calling therapeutist did not run away, did not hide in a safe cellar, but he opened widely the doors of his medical center, and tried to treat their wounds, and to ease their sufferings. And like the chaplain of the Titanic he tried to help those, whose souls were facing death, staying with them in the last hours, however this "ship" was also sinking very fast... Darth Malak kept having Taris bombarded, till it became a burning hell. 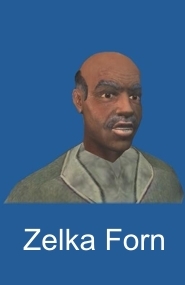 It is assumed that Zelka Forn was killed in the orbital bombardment of Taris, and unfortunately died under the burning ruins of his own clinic. There might be some of you, who might think Zelka's death was pointless. He lived a poor life, healing was his everything, he lived for others, he often hasn't received payment after his treatments, and finally he died for his patience. The recent world would think his life was a failure, and his dead was useless? Since he hasn't become rich or mighty, he hasn't got dozens of hospitals on other planets, and he hasn't got a "prosperously going concern". He hasn't even saved their lives, because those who were healed by Zelka was killed by the bombardment of Darth Malak. But that was not Zelka's fault. He has done what he had to do. He has fulfilled his mission. He couldn't change the world or the history, but he has made his surroundings better, nicer. What can a single water drop of the dirty ocean do? A water drop can not clean the large ocean. But it can try to keep its own purity, and if it has an opportunity, it can give from its own cleanness for the surrounding water drops to make each other cleaner. And if there will be more liquid water drops in the ocean, maybe one day the relation will turn over, and the whole ocean will be healthier, cleaner. That is Zelka's message. We mustn't call his life a failure. We can call it calling profession. We can call it apostolate. We can call it love. And LOVE is the message of Christmas! I wish Merry Christmas for all of my backcoming readers! 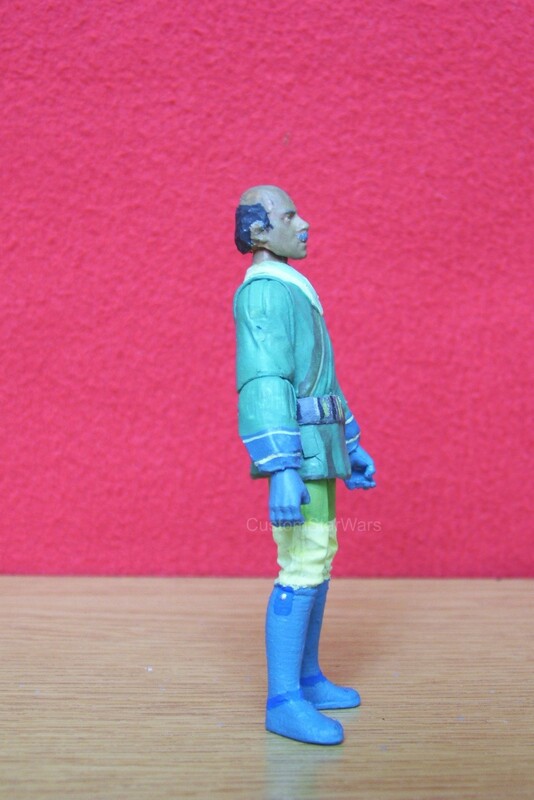 Please take a look at my custom Zelka Forn figure! Thanks for visiting CustomStarWars, come back soon!